They say that nothing is impossible now and we think that they are right after seeing the design of these buildings. With the change of time, the design of buildings are also changing. Engineering has changed the whole meaning of structure. Who think that such kind of buildings can even be imagined but now they are standing in the 20th century. There is no more danger for unique design buildings to fall. Buildings have change their shape from straight upward to horizontal, shape like washing machine, some buildings shape are like cartoon characters, now even upside down buildings are in the world, some are like flowers while some are like books and there is also such buildings which outer side is made of glass and nothing else and when that glass shines in the sunlight it looks like a shining diamond. Today we are going to show you some extra ordinary design buildings which are standing with the help of science and engineering. These buildings has been designed by the craziest and genius architecture of the world. People don’t believe that these buildings are until they don’t see them with their own eyes. This is not their fault, the design of these building won’t even let you to believe that these buildings are real but in truth, they are. Today, we will show some “Amazing Buildings of the World”. It is located in Sopot, Poland. Most of the people thinks that it has been photoshoped but it is a real building and it is very famous in Poland. It is the most photographed building of Poland. This museum is located in Ontario, Canada near Niagara falls. The whole building has been designed horizontally. This beautiful library is located in Missouri, US. It external walls has been designed like a books. It is a very good creativity. It is located in Wujin, China. It is built on a water surface. It shape is inspired from lotus flower. It is one of the most beautiful man made creation. It is located in Las Vegas, United States. It has 50 various stores, shops, kiosks and restaurants. It has 3 floors. The location of this building is none other than the future city Dubai. This is a building of 80 floors. It could be the man’s greatest creation ever. This building is located in Florida, United States. The whole building is upside down from outside and inside. It is a great master piece of science. 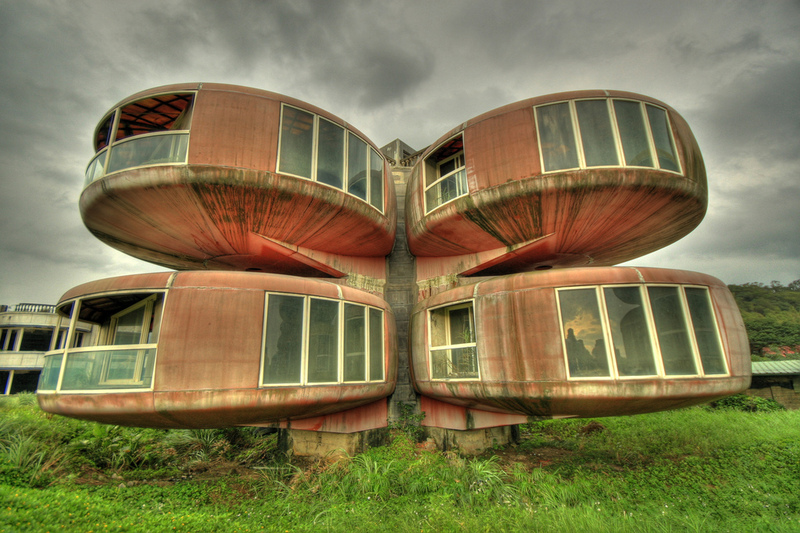 This Ufo house is located in Taiwan. These houses were never built completely and abandoned. It was built in 1978. The Beijing National Stadium is located in China. The design of this stadium has been inspired by the bird’s nest. The Gherkin building is located in London, United Kingdom. It shape is like a capsule. The building has very beautiful green lights in night. The building is belong to German commercial bank Norddeutsche Landesbank. This bank is famous for art collection that’s why their building is also an art. It is a housing project located in Madrid, Spain. It has been designed with the collaboration of Dutch and Spanish architectures. You will feel like an ant in a picnic basket while sitting in this basket building. This office building is located in United States. Walt Disney Concert Hall is located in Los Angeles, California. It may not be wrong if we call the world’s most beautiful Concert hall because of its unique design. The whole external part of this building is made up of glass and it shines in sunlight. Such libraries can attract students towards it. It is a residential building Darmstadt, Germany. It is the most unique residential building of the world. Every window of it has a design. This stunning dancing building is located in Prague, Czech republic. It is surrounded by historical architectures. From it top floor we can view Prague Castle. This building is located in Tokyo, Japan. It is the headquarters of TV channel of Japan Fuji TV. This bank of Asia building is located in Thailand which looks like a robot. It backside is also looks like a robot. This stunning creation is located in France. It is use to produce energy for Industry. It is simply AWESOME! It is the tallest building located in North Korea. It is the world’s biggest hotel. It shape is like a pyramid with 105 floors. Luxor hotel and casino is located in Los Vegas. It design has been inspired by the Egyptian pyramid located in the the city Luxor, Egypt. 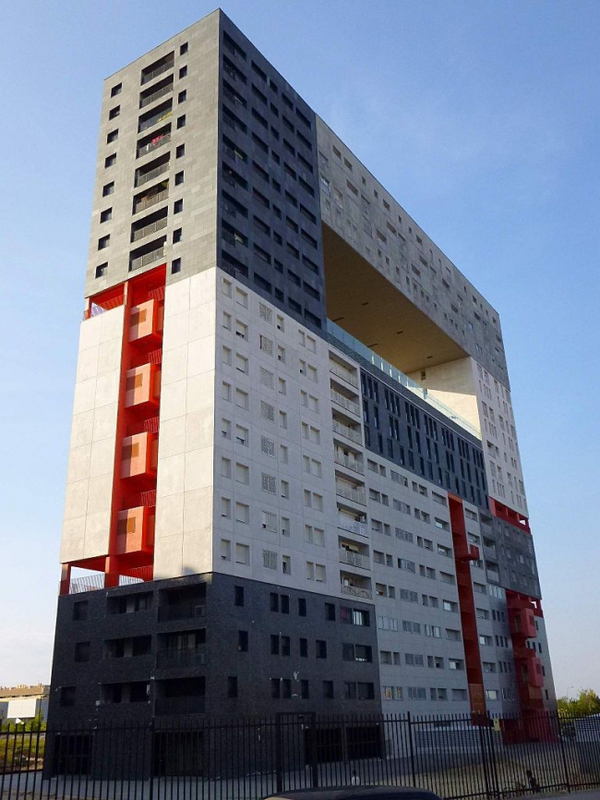 This building is located in Mexico and it shape is like a washing machine. It’s name is inspired from one of the largest Mayan cities. Experience Music Project Museum known as EMP is located in Washington, United States. The building has a very crazy design. BMW welt is the official headquarters of BMW located in Munich, Germany. The whole building is made up of glass. We hope that you’ve inspired by the design of these remarkable buildings from all around the world, you should share this with your friend and relatives so that they can enjoy the design of these remarkable buildings too.